Landsborough Auctions from Ontario, Canada are preparing for their 20th Anniversary Sale in March 2017. Along the way, they are having online only auctions to heat up the bidders in anticipation of their big event. On January 19th, 2017, they are presenting 200 lots of reloading equipment, ammunition, and hunting accessories; all up for grabs to the highest bidder. This is a special catalog for internet bidders only, with everything opening for a dollar and hammering down to the highest bidder. This auction is expected to have a 100% sell through and is already getting great bidding in advance of the sale. The virtual live auction begins at 7PM Eastern Time on Thursday January 19th. There are several box lots available for collectors. Lot 7 is a lot of military books with 21 books from various authors. Highlighted books include “Behind The Lines-Hanoi” by Harrison E. Salisbury, and “Thoughts of our Canadian Soldiers at War” by Brian Jones. A full listing of all 21 books is available in the online catalog. The next lot, number 8, presents a box lot of books, magazines, and manuals. It includes highlighted titles such as “Escape and Invasion, POW Breakouts in World War Two” by Ivan Dear, and “Battle of Britain” by Harry Woods. In all there are a dozen books, 17 magazines, and 5 manuals available for one bid in Lot 8. 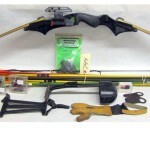 There are interesting box lots spread throughout the online catalog. Lots of ammunition fill out a majority of the online catalog. For example, there are box lots of 8MM Mauser up for grabs at Lots 88 and 89, and Vintage Ammunition available in Lots 92 to 94. There are lots of 20 GA, 12 GA, and 6.5MM ammo all available to be purchased at below retail prices. 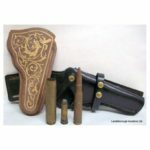 In addition to all the ammunition, there are accessories such as scopes, stocks, reloading tools, gun cases, and holsters. A full inventory is available for viewing before the auction with photos and full descriptions. The online auction is leading up to their huge 20th Anniversary Auction on March 18th, 2017. 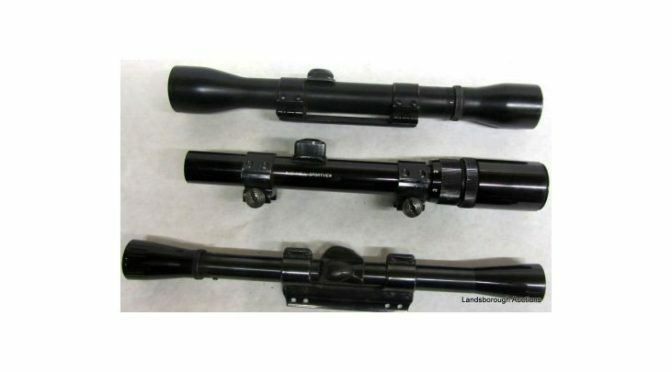 They are still taking consignments and all interested bidders and collectors should contact the auctioneer immediately to discuss selling their firearms with Landsborough Auctions. They consistently get top auction dollar for their consignments, with one of the largest online bidding audiences in the industry. 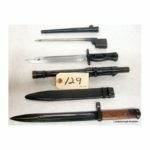 This auction should have over 300 new and used firearms plus a large selection of reloading equipment and accessories; as well as interesting collectible pieces. 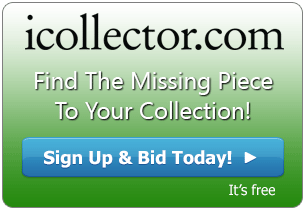 The entire catalog for January 19th is up for absentee bidding now, and each item has its own photo for pre inspection. The auction will give the bidders online a live audio feed to be part of the auction, and it will be a fun evening of auctioneering for both the auctioneer and the participating bidders. Tune into the auction to hear more about the March Anniversary sale or contact Landsborough Auctions by email or telephone to discuss bidding and consignements.